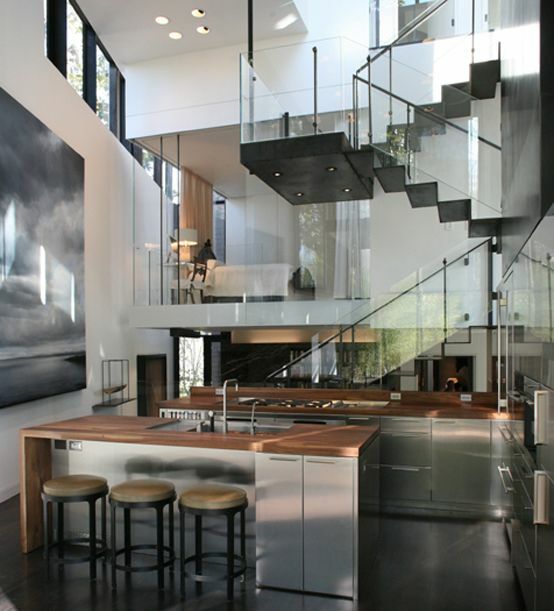 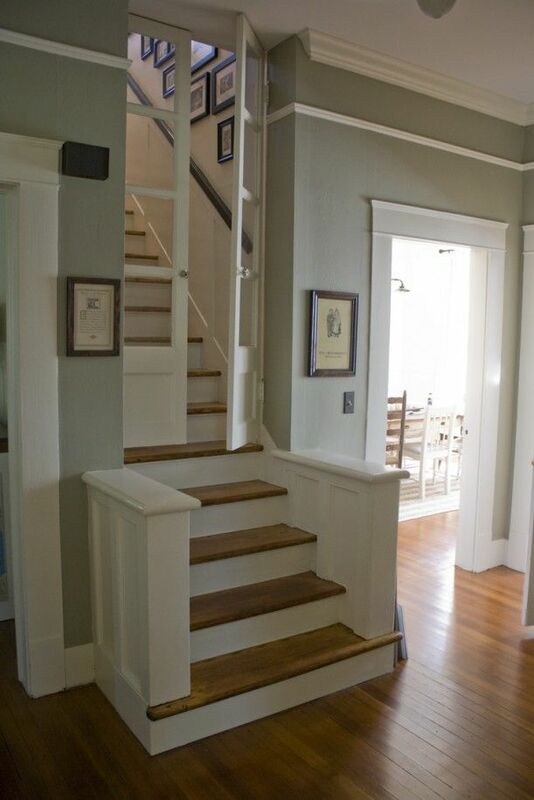 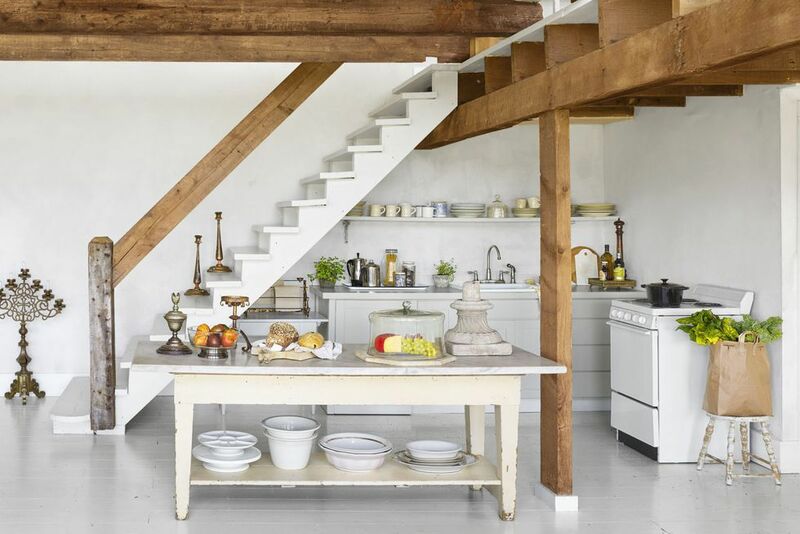 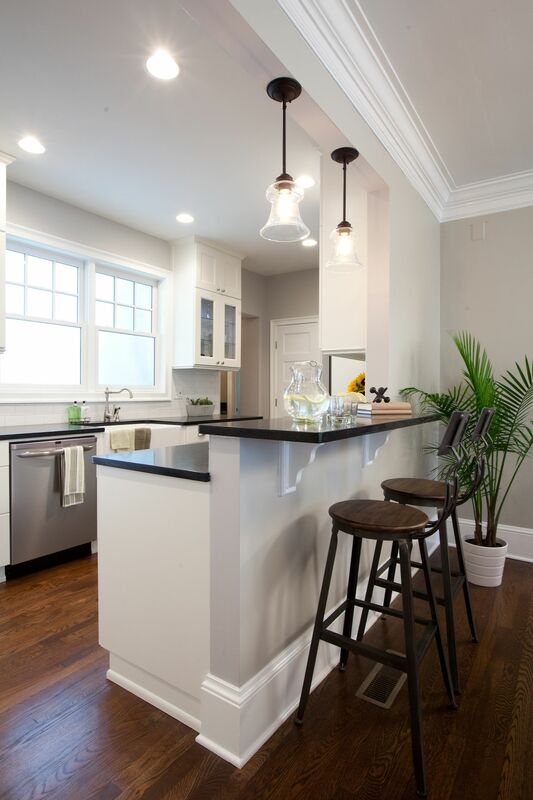 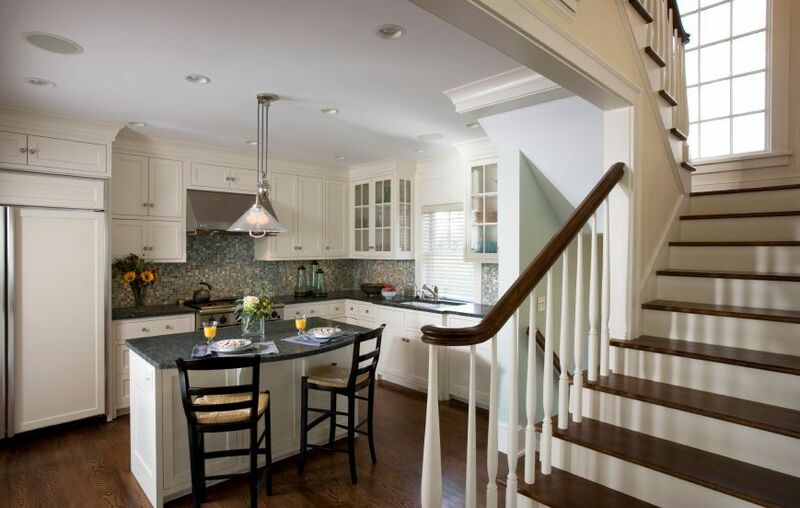 A modestly sized kitchen in white and gray next to the home's main staircase. 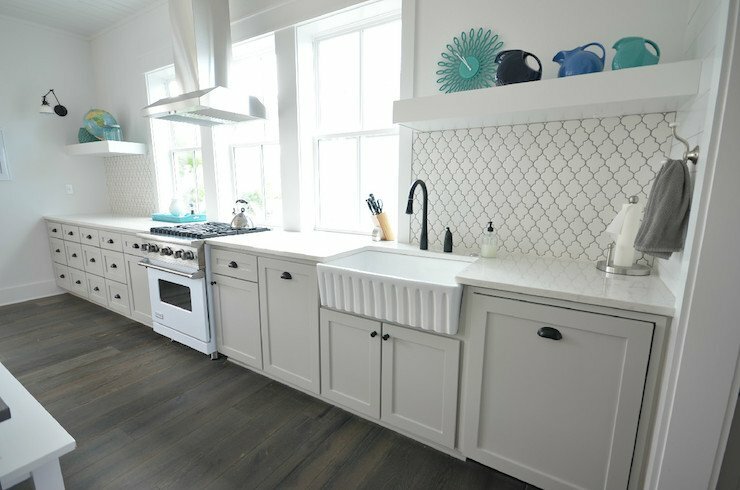 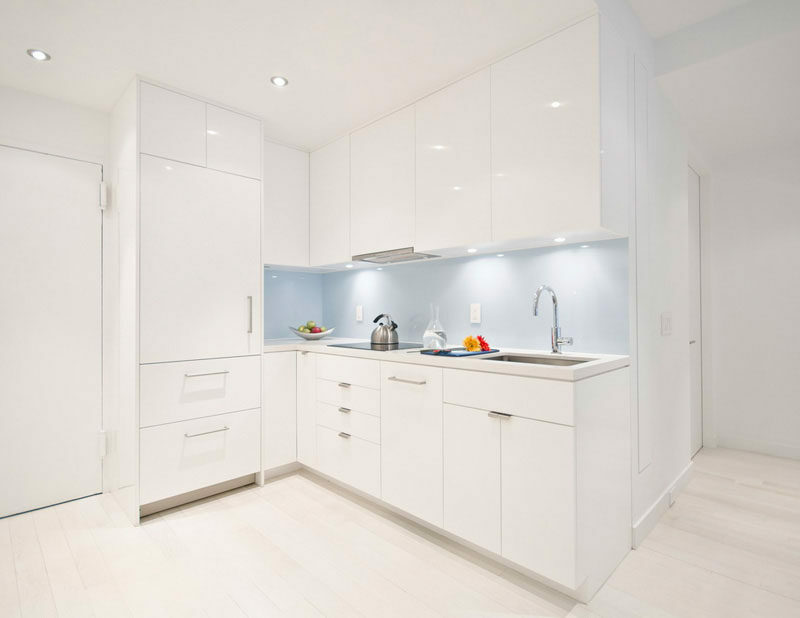 Glass-faced cabinets are on either side of the sink frame the small window. 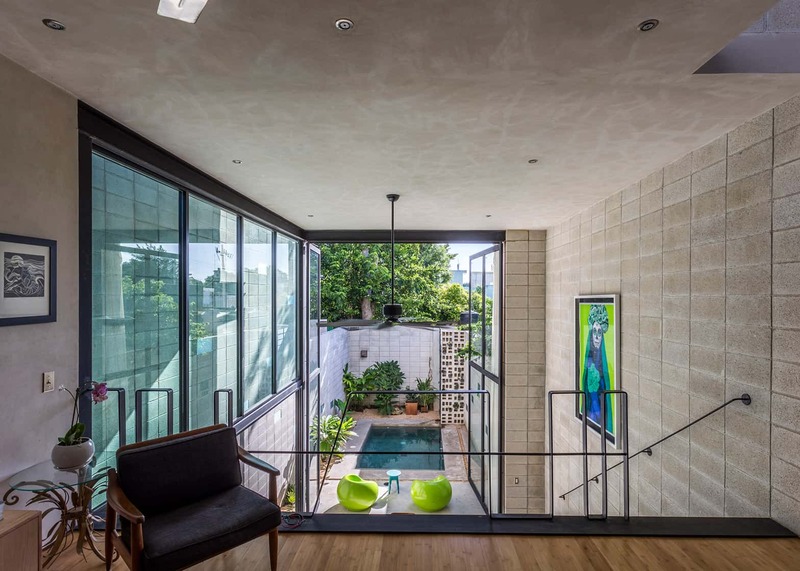 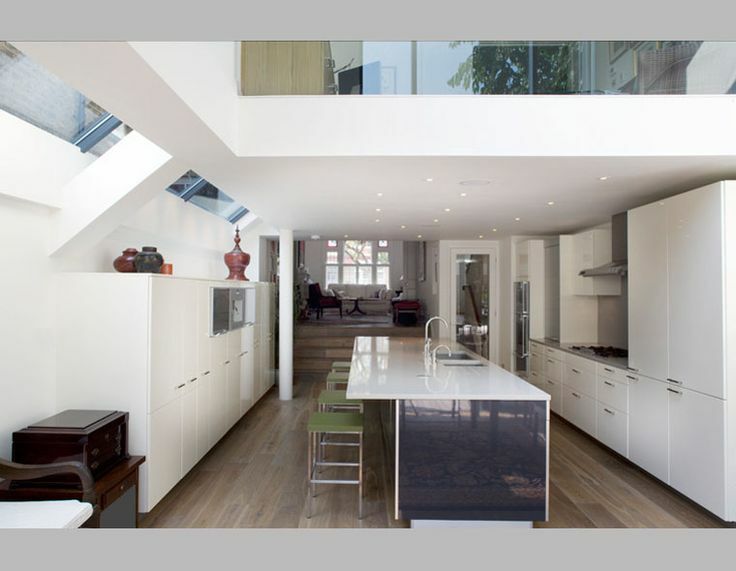 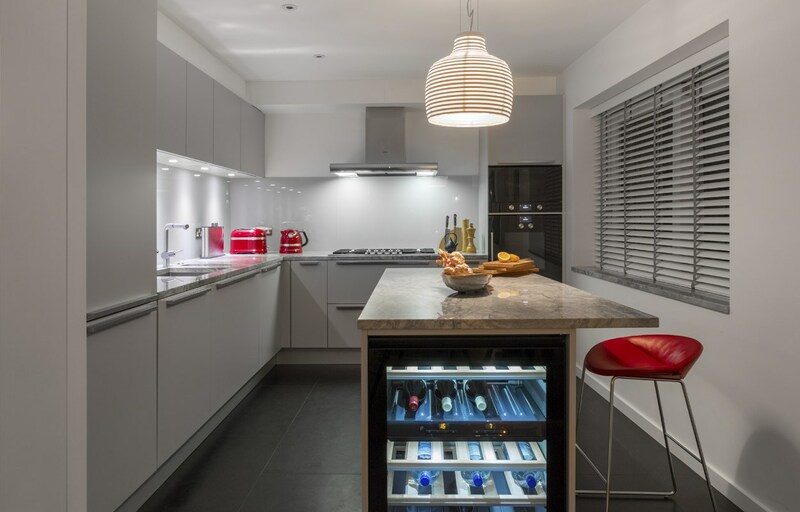 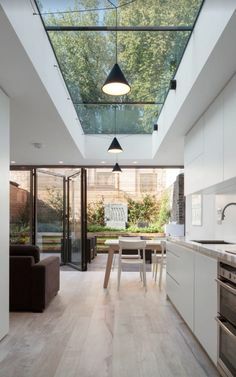 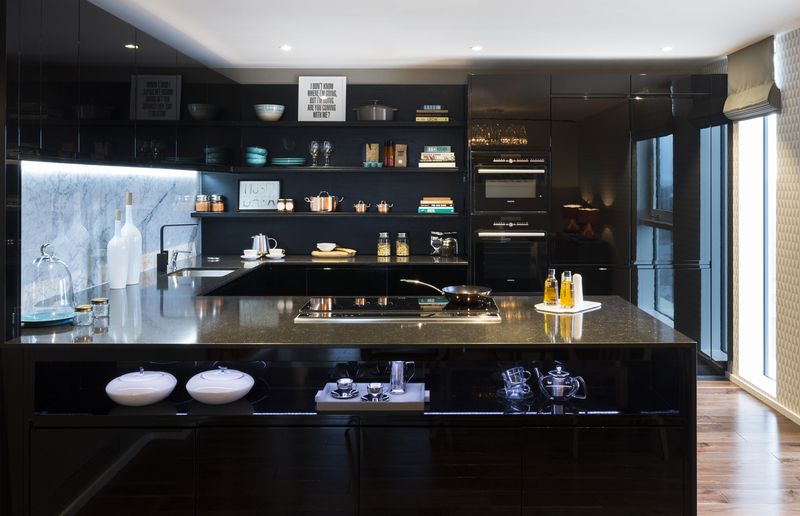 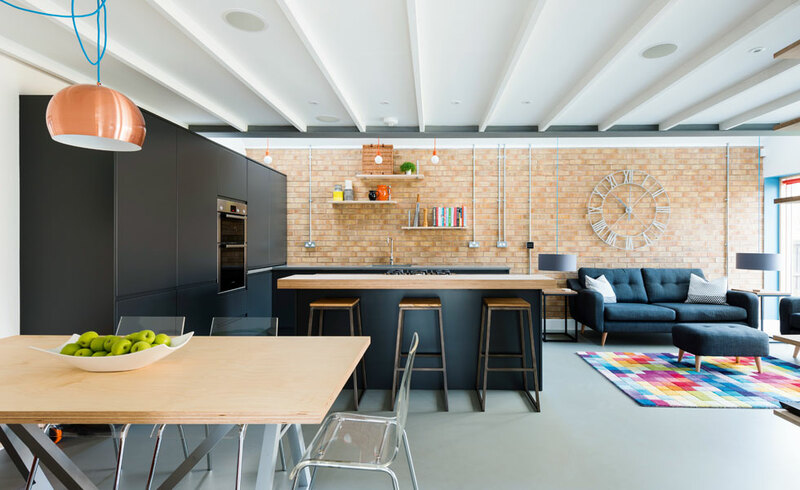 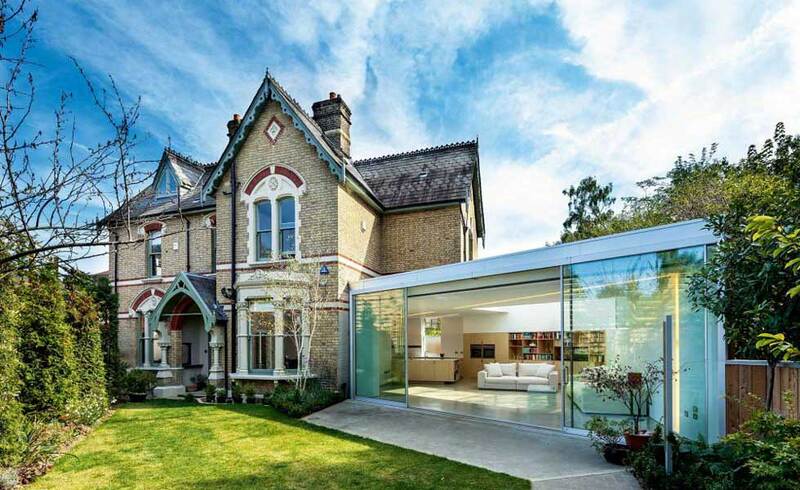 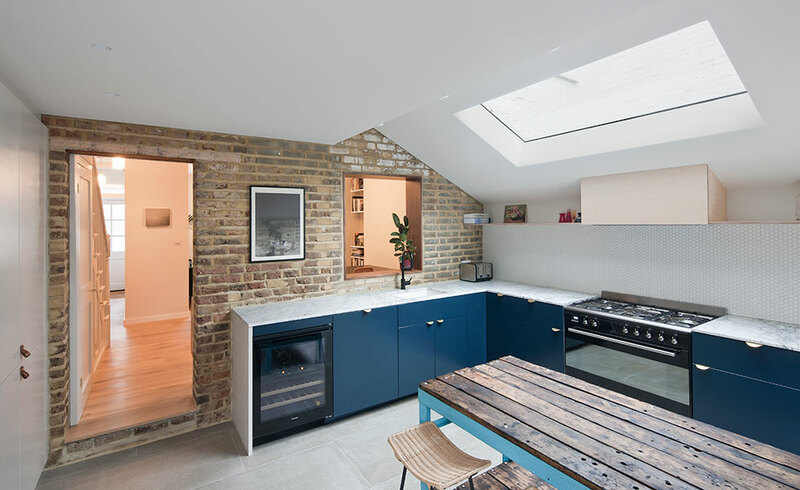 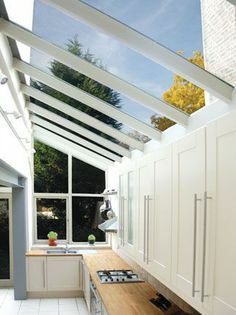 ... within a modern structural glass side extension, connected directly to the lower ground floor, moving easily from living to kitchen to dining areas. 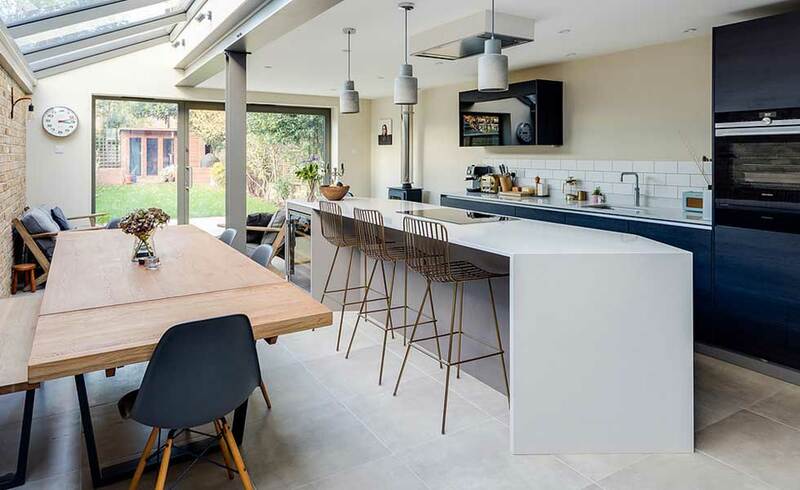 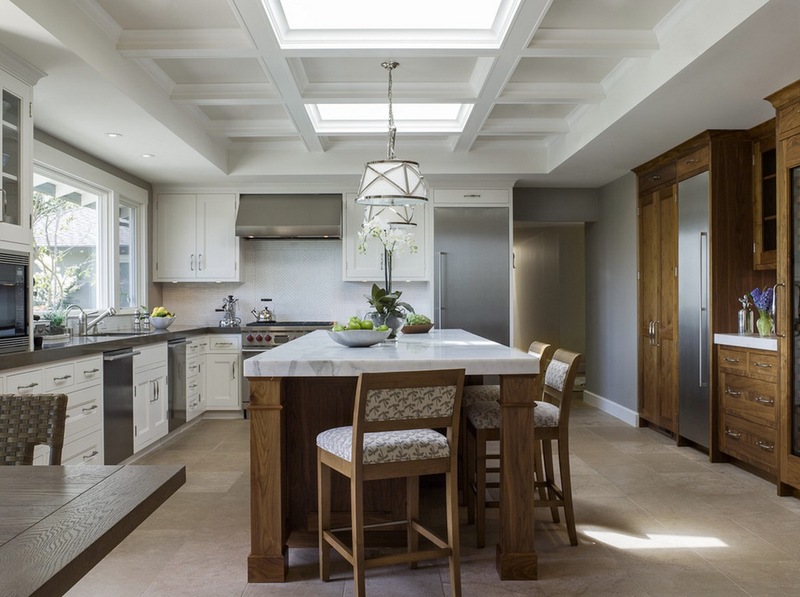 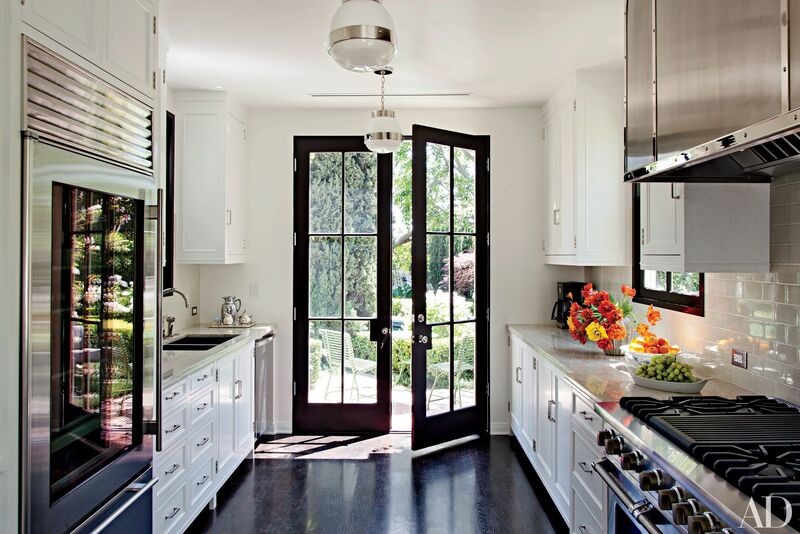 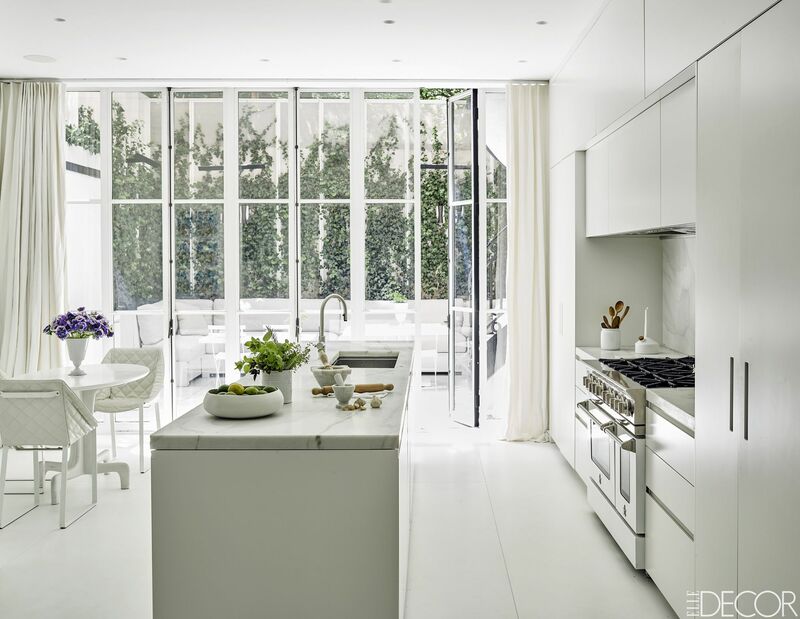 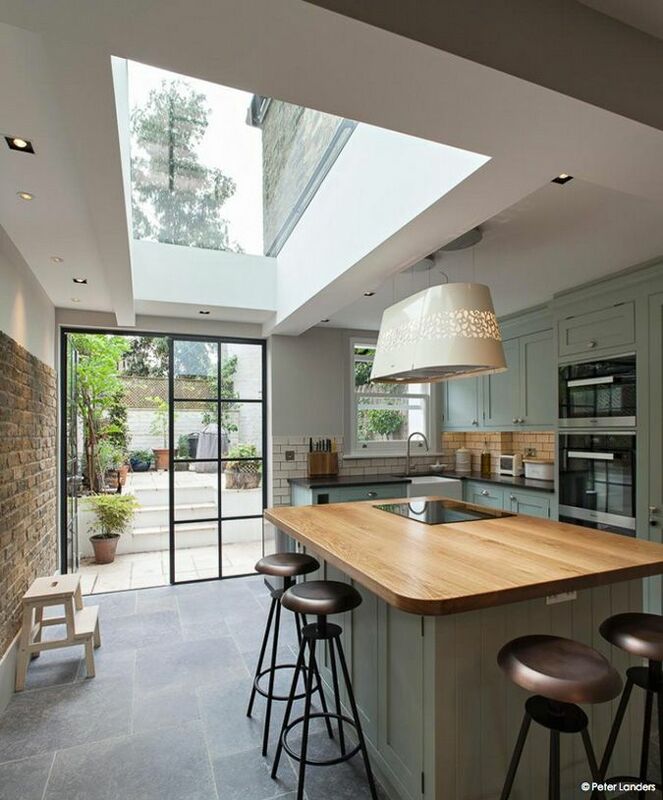 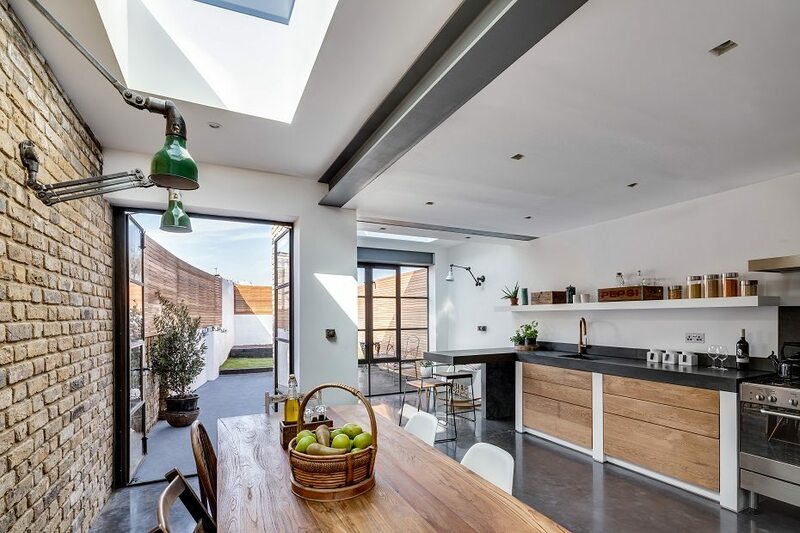 Roof glazing coupled with steel-framed patio doors flood the kitchen-diner with natural light. 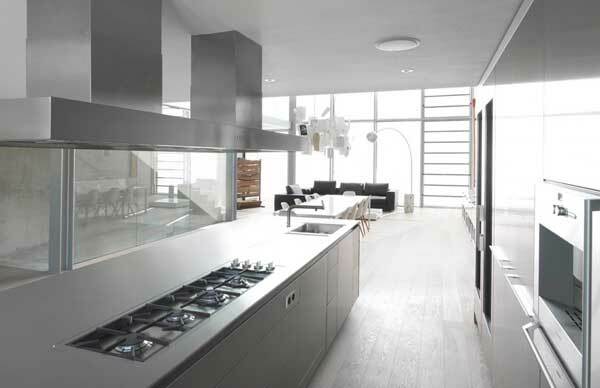 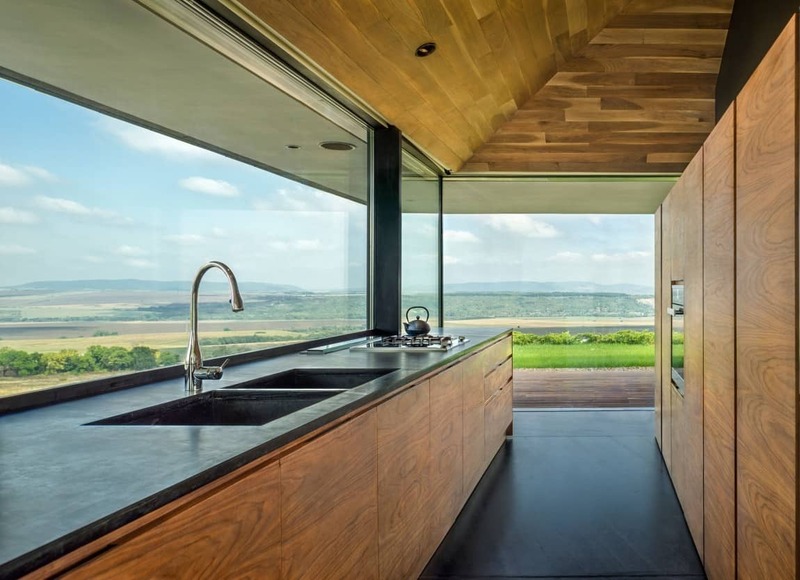 On the other side of the closed volume is the kitchen designed to make the most of the view. 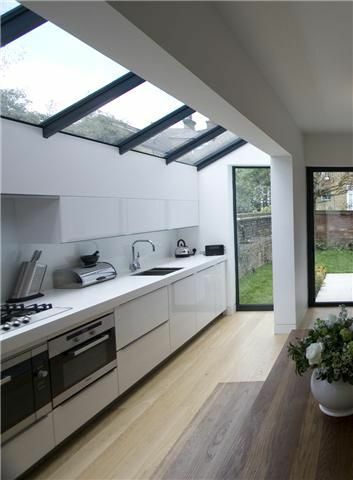 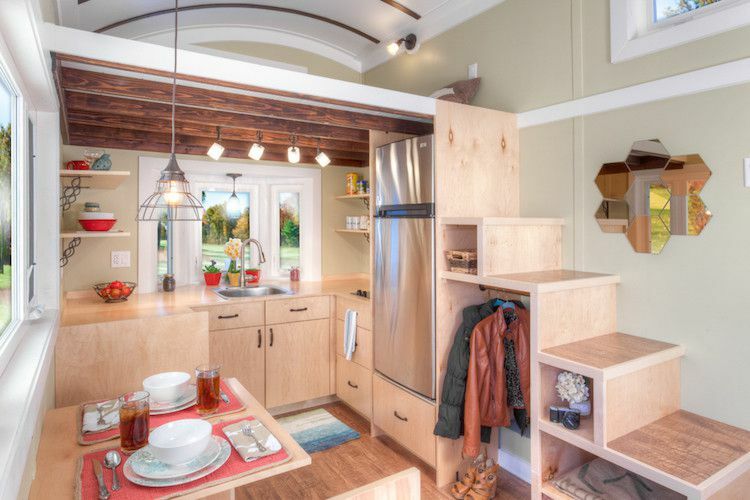 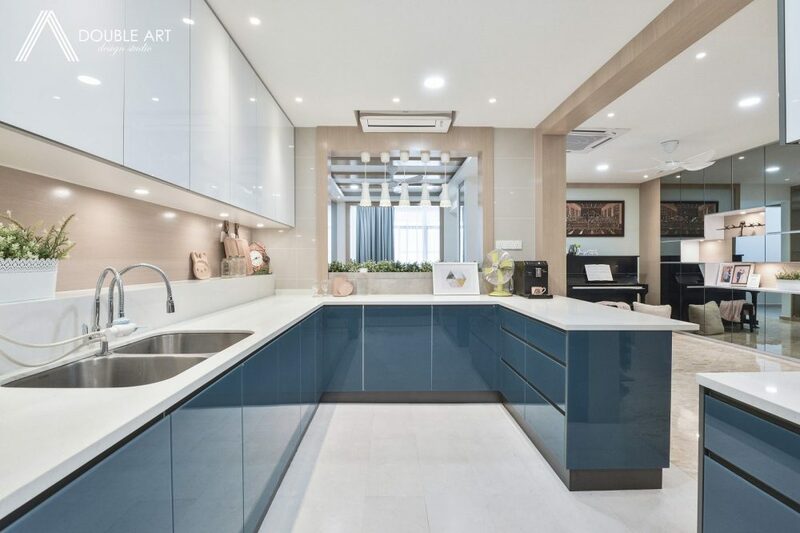 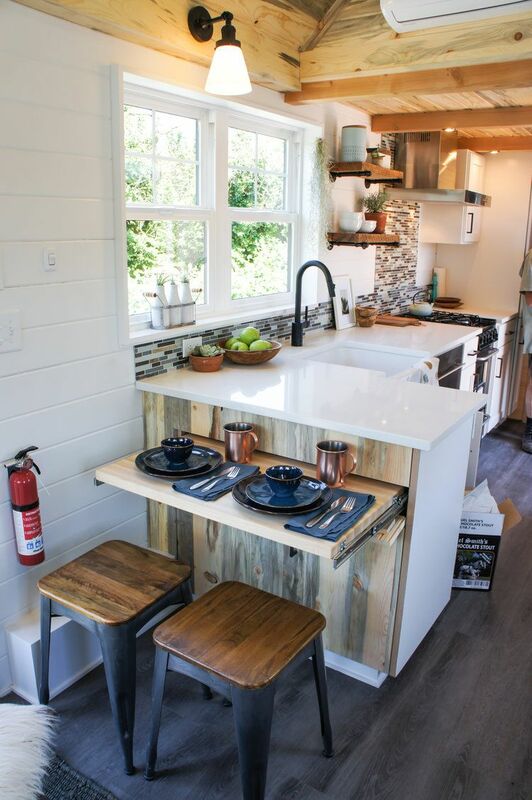 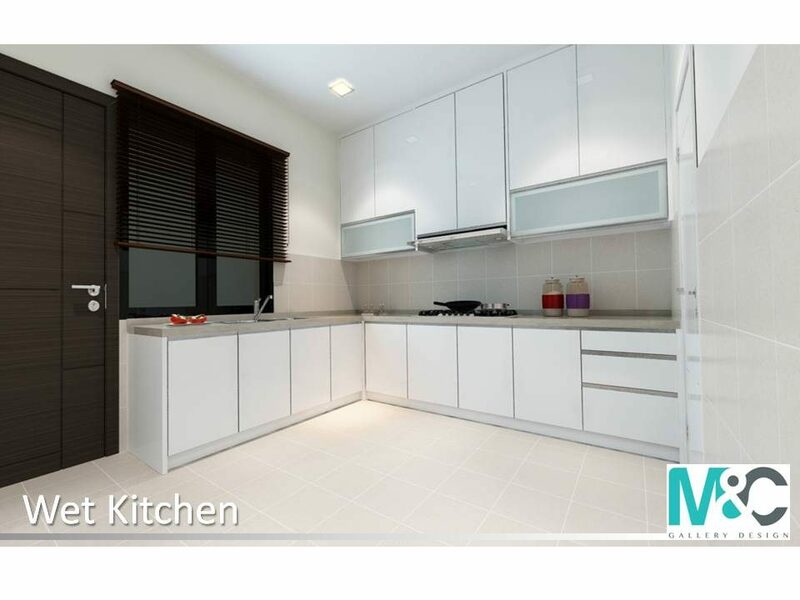 Who wouldn't want to cook here? 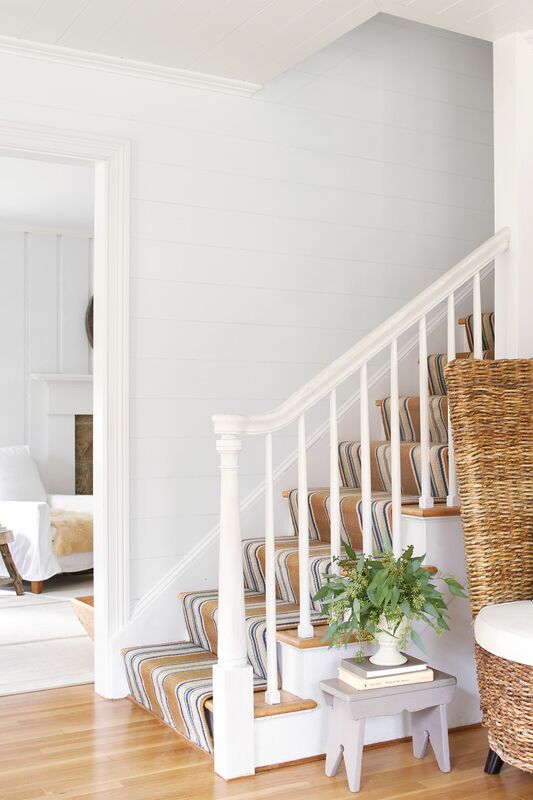 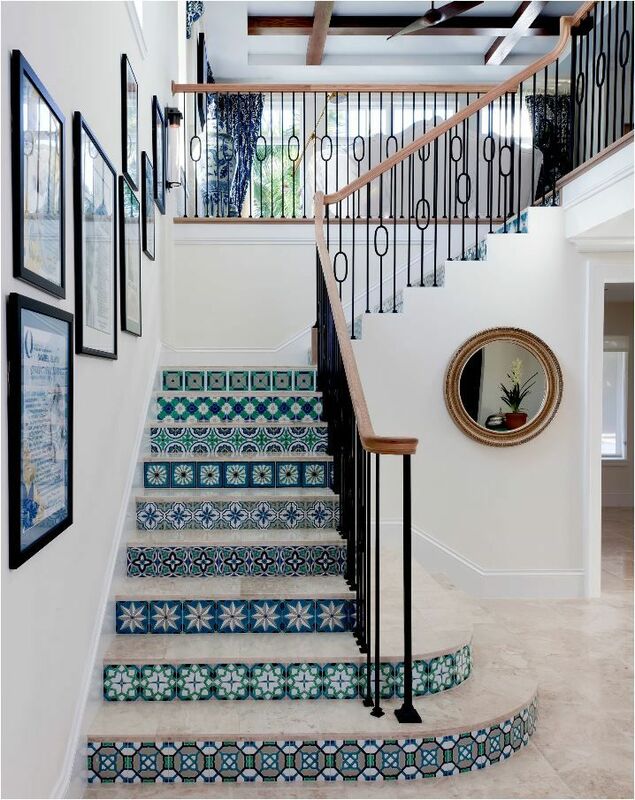 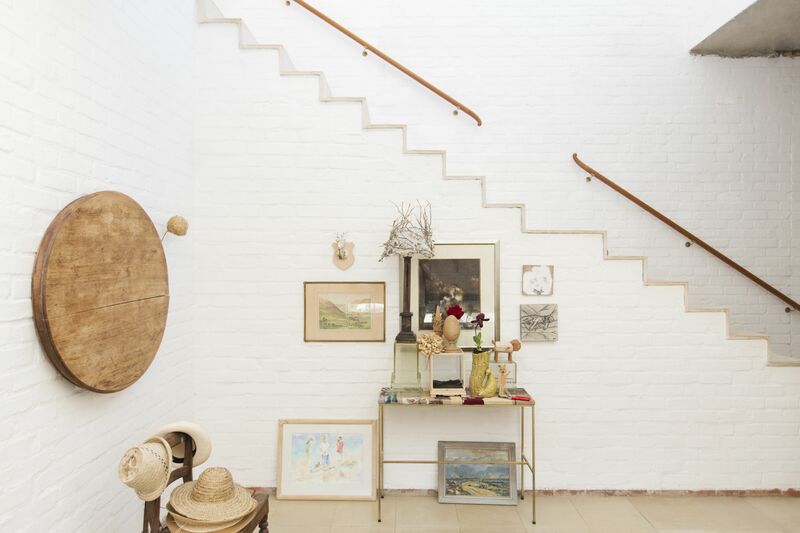 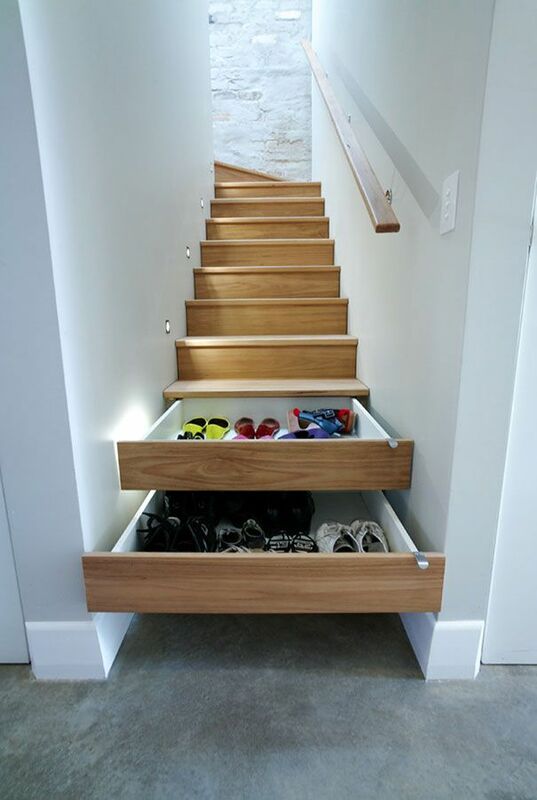 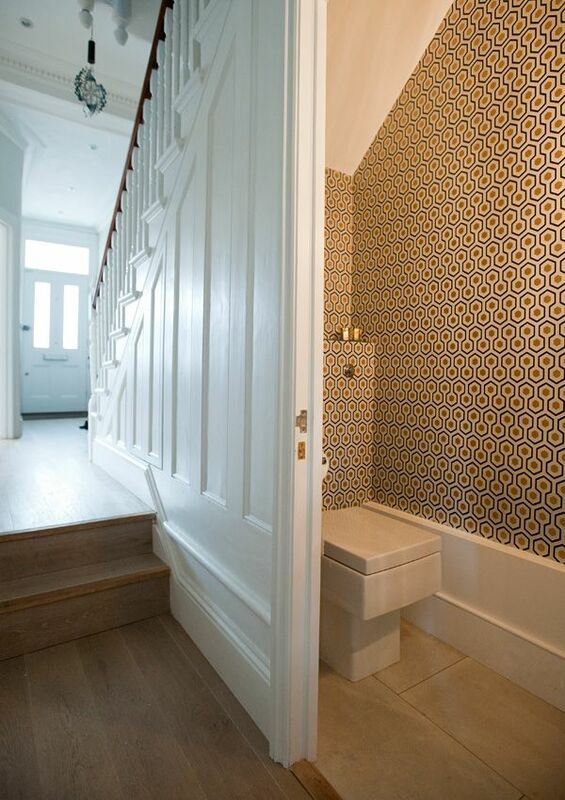 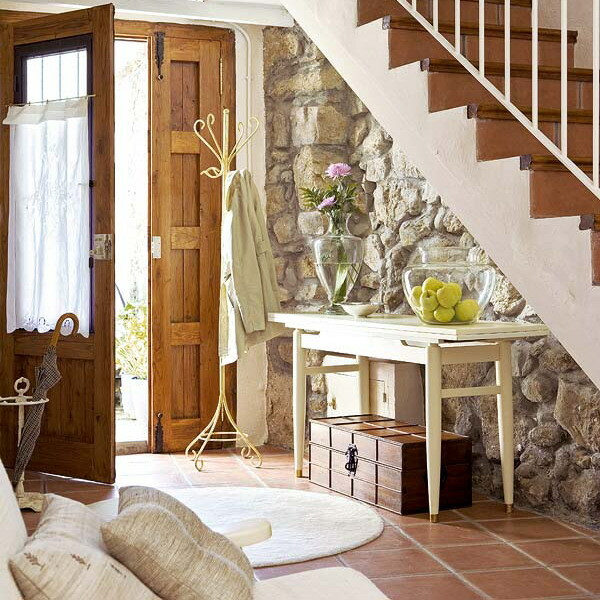 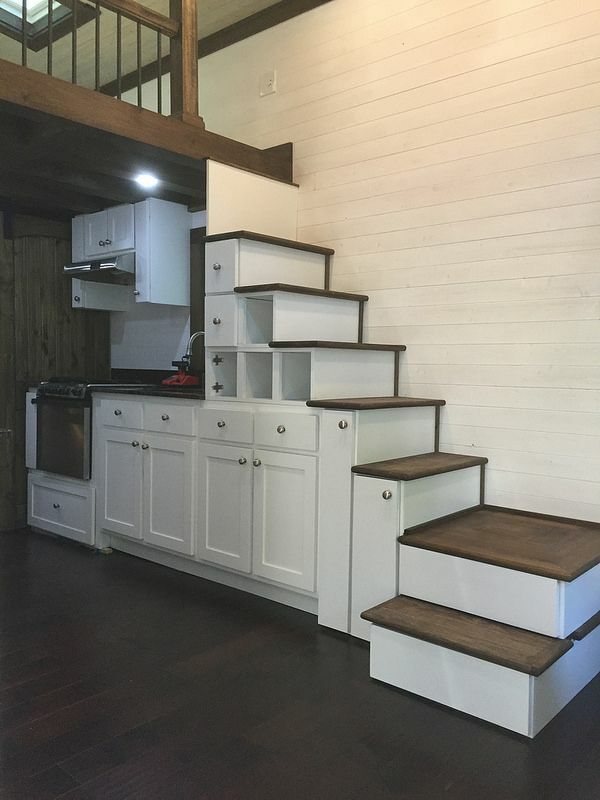 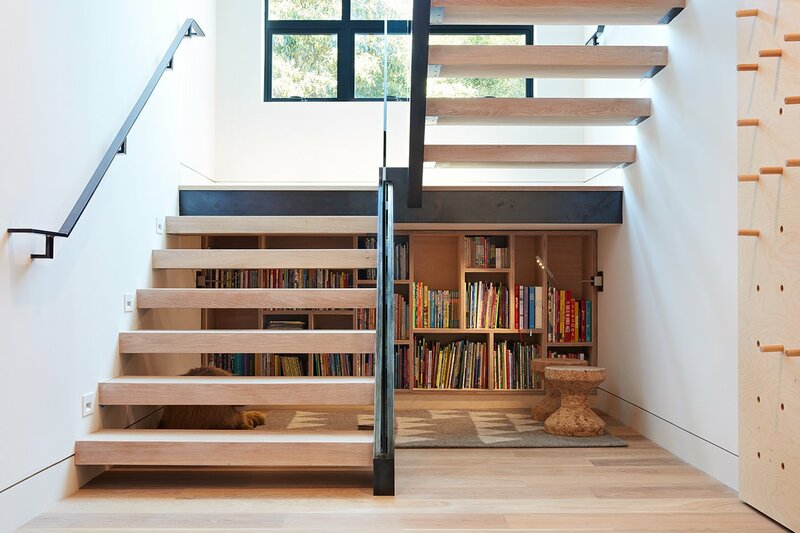 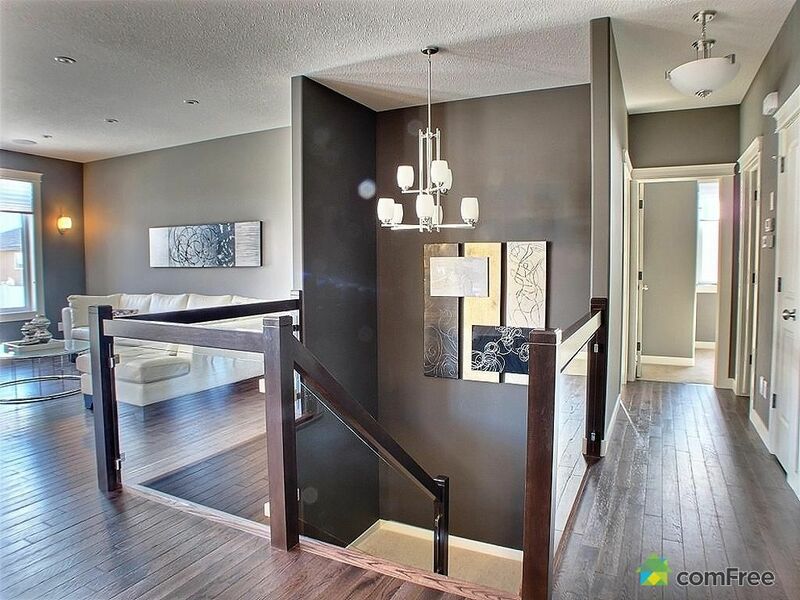 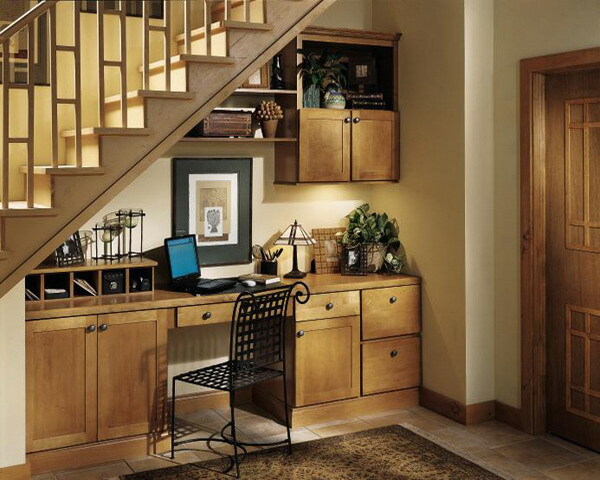 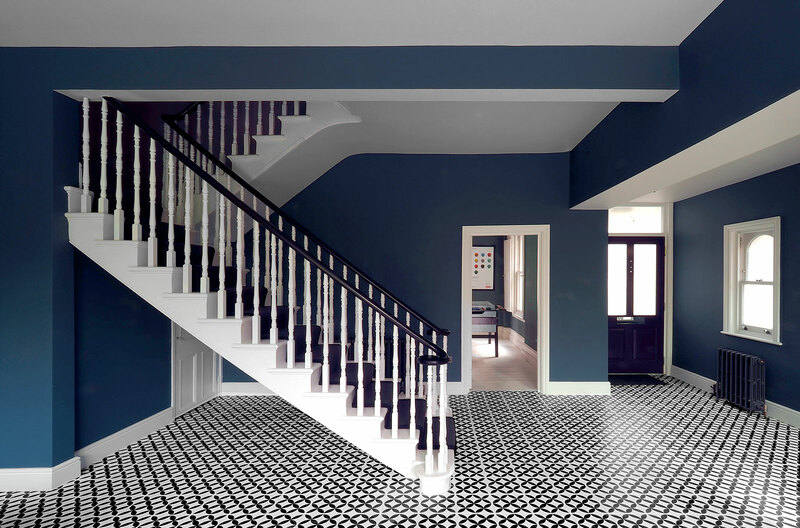 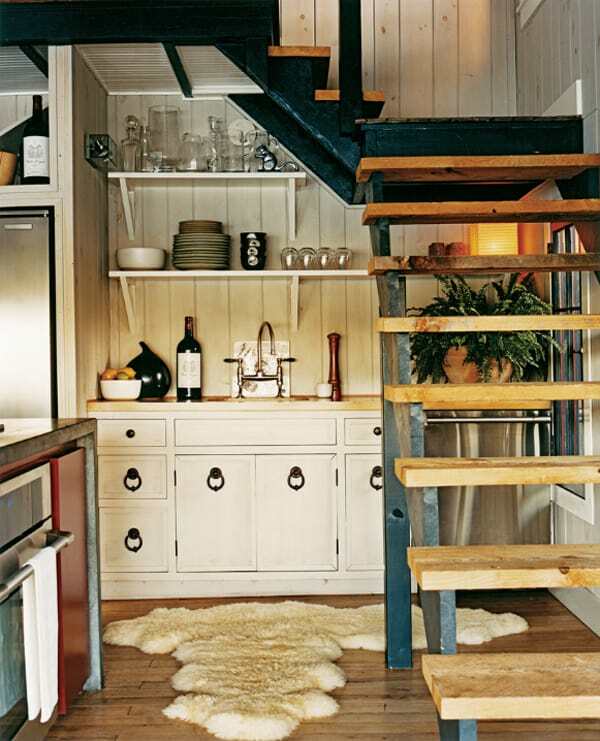 When space is tight, a clever strategy is to annex the area under a staircase. 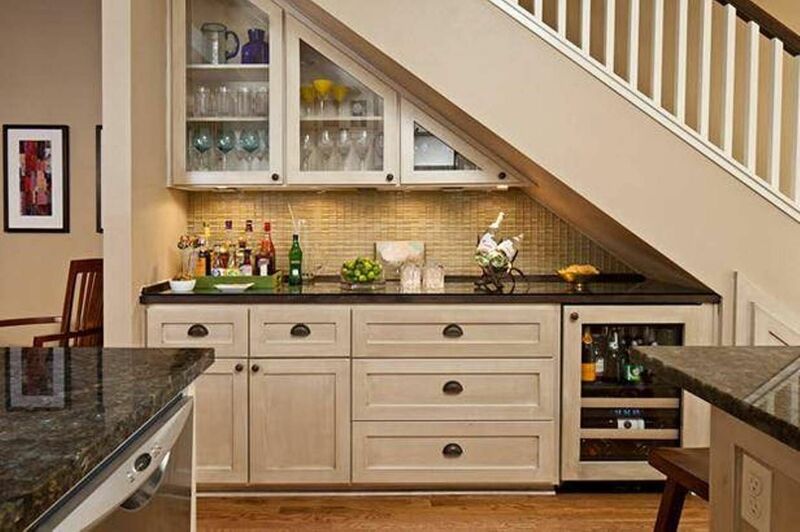 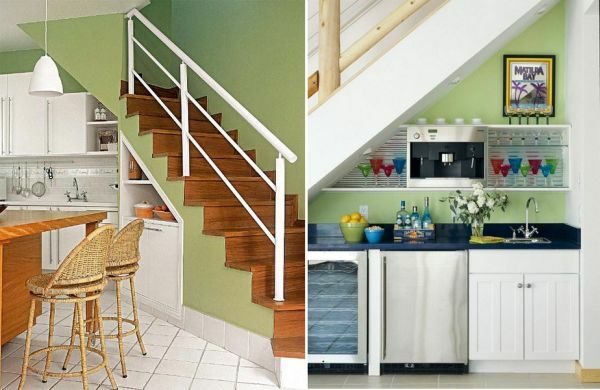 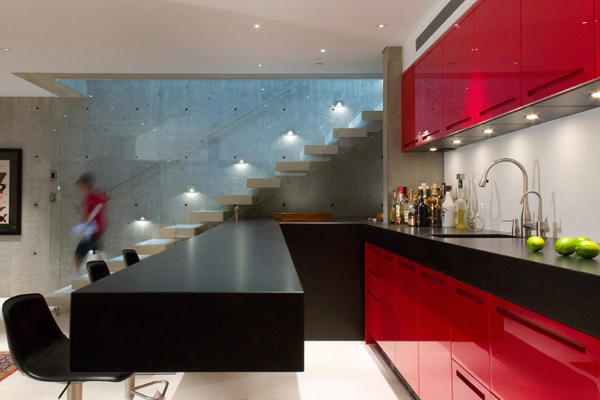 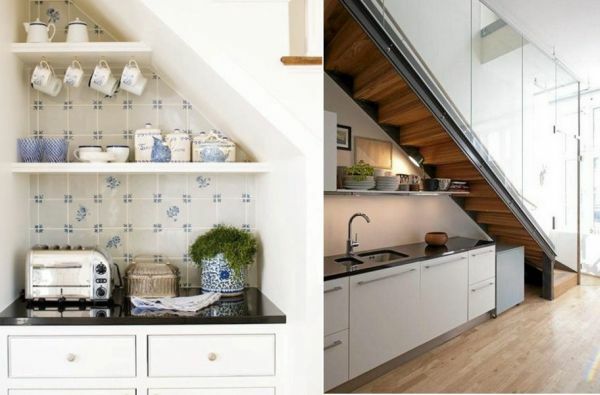 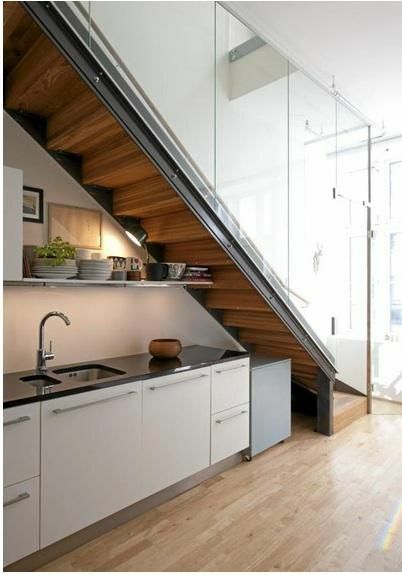 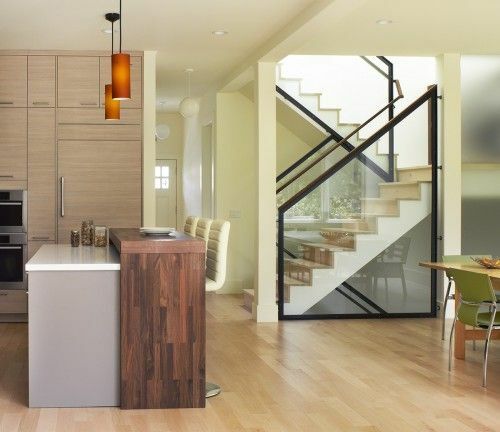 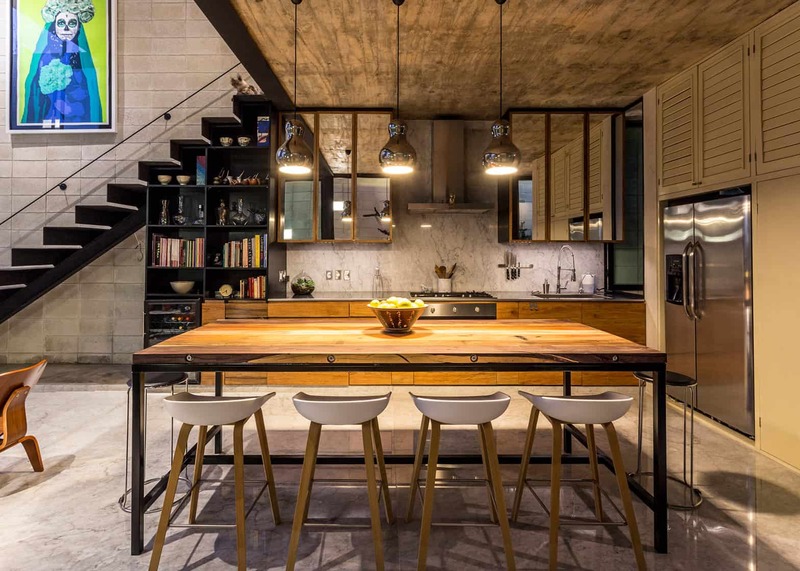 Here's a roundup of kitchens that maximize below-stairs space. 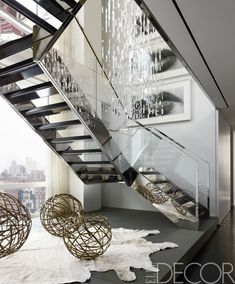 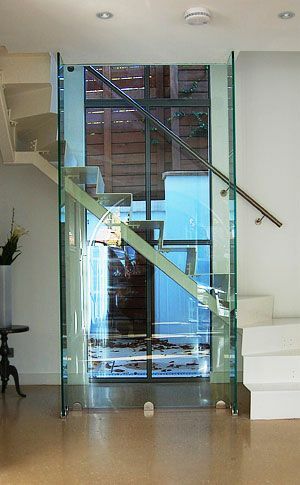 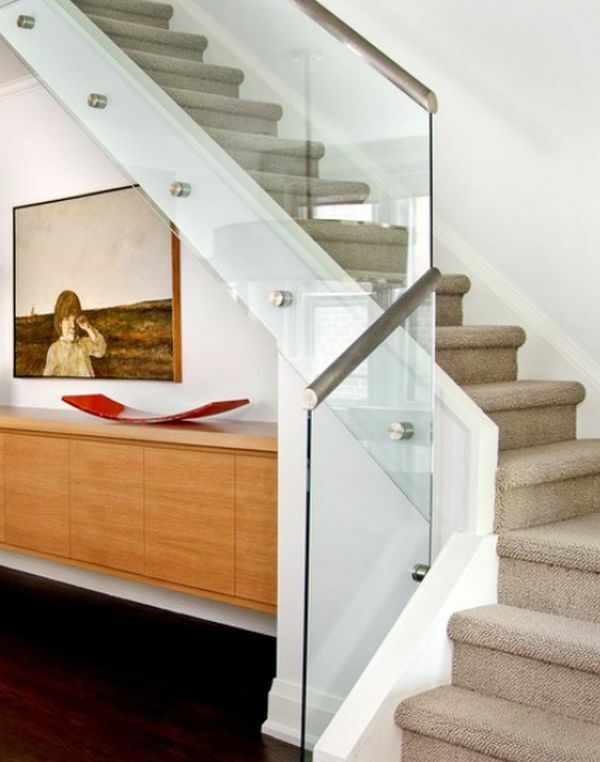 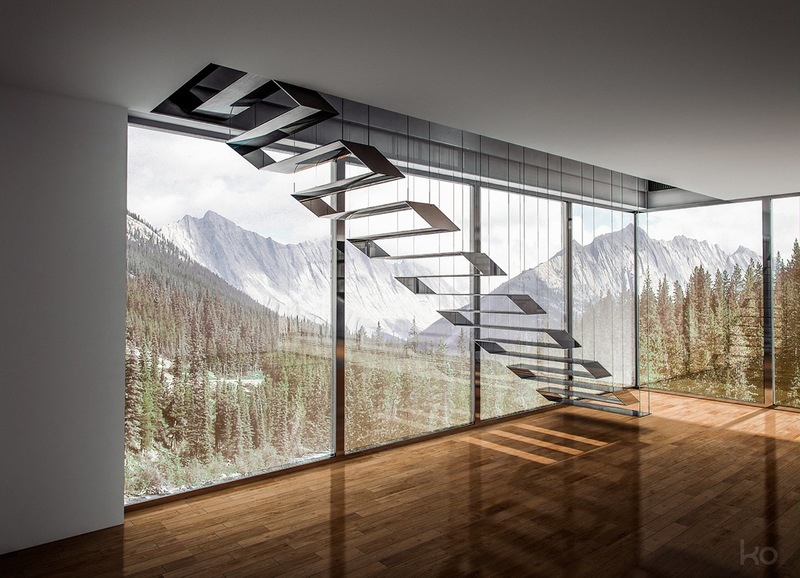 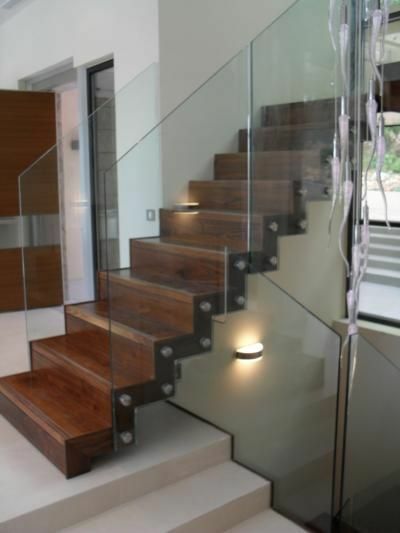 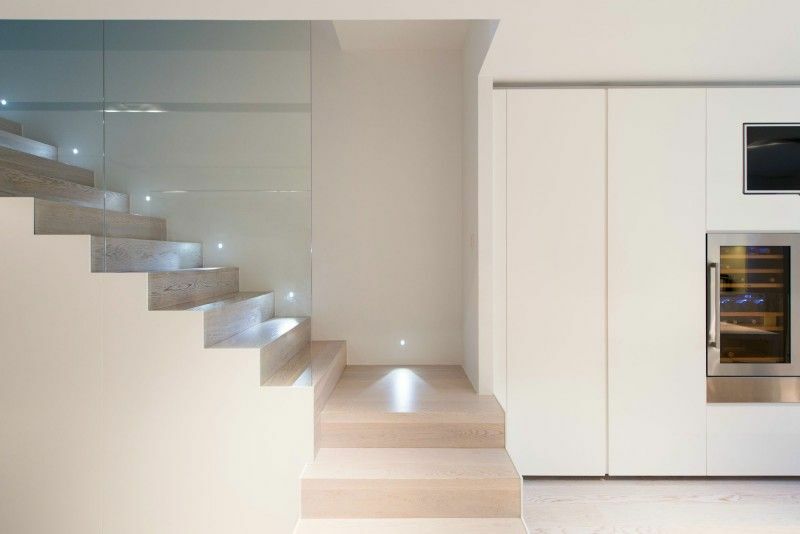 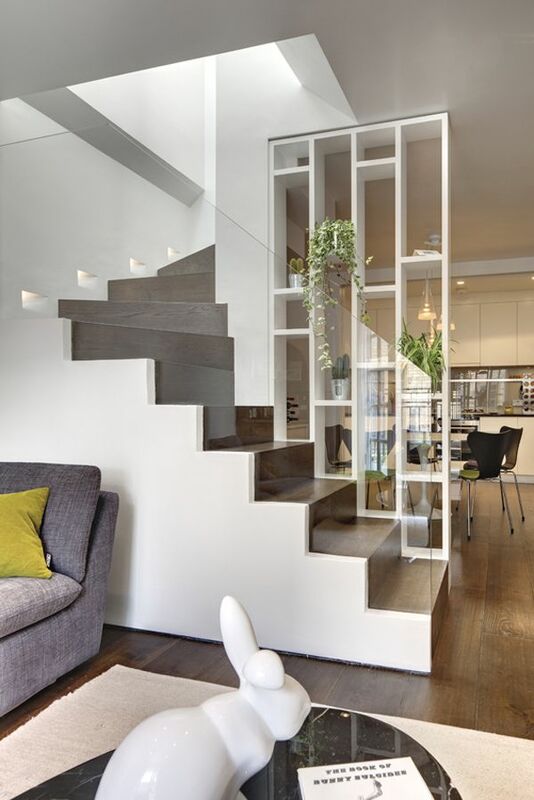 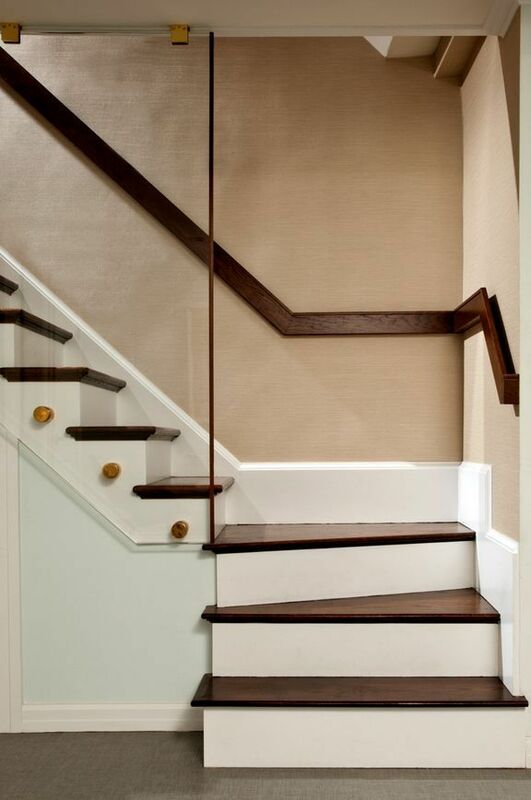 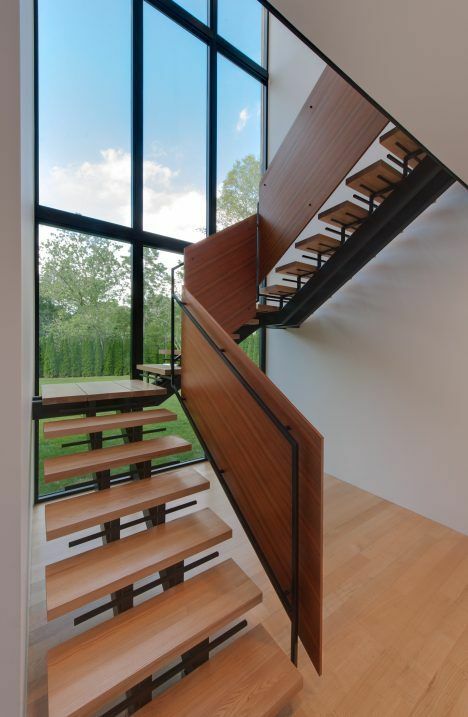 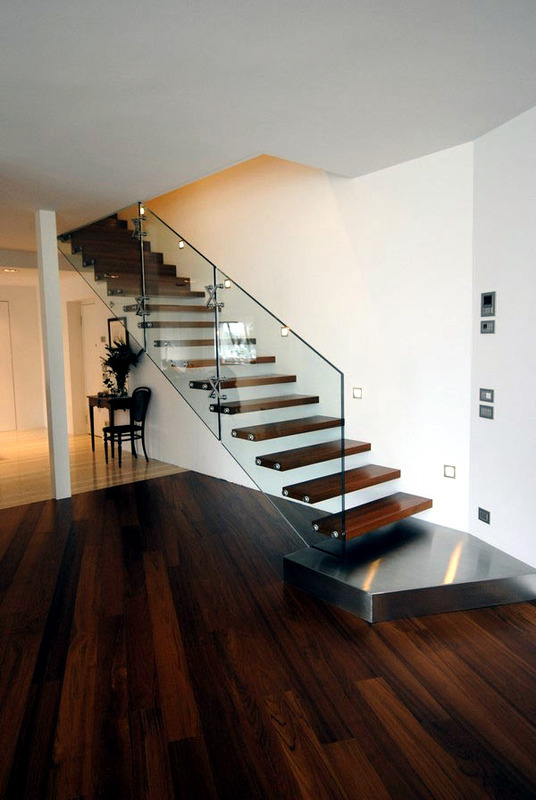 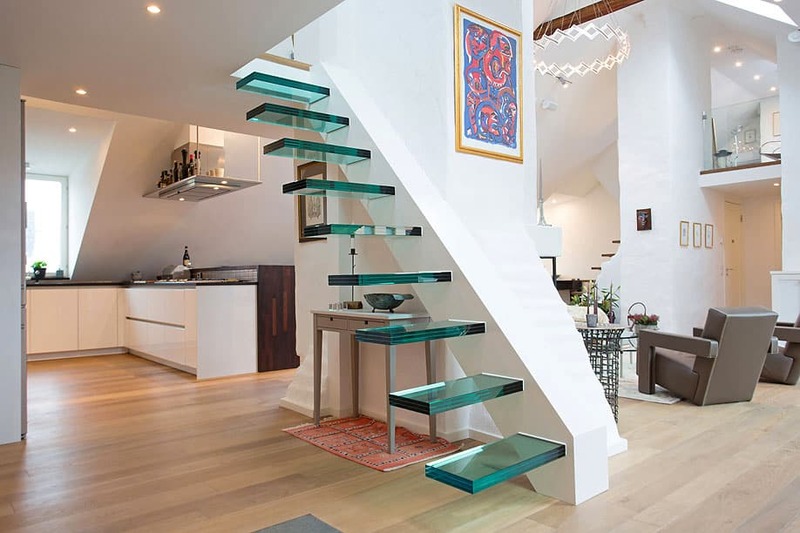 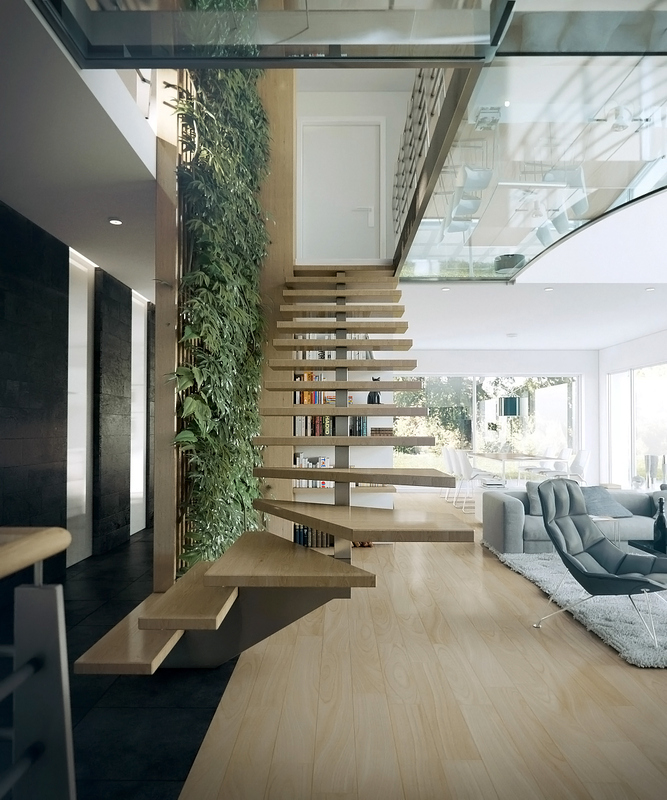 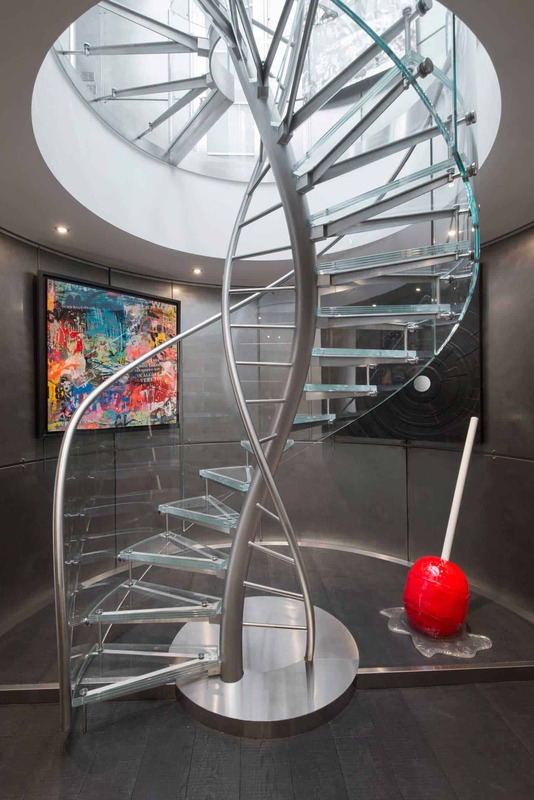 Folded plate staircase suspended from a steel railing, with glass sheet sides. 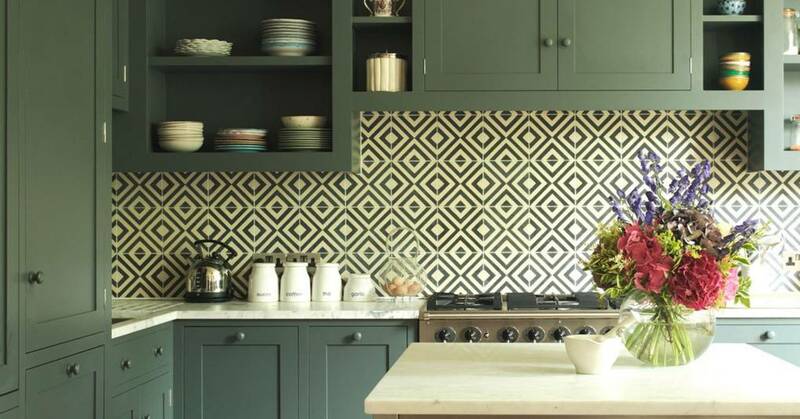 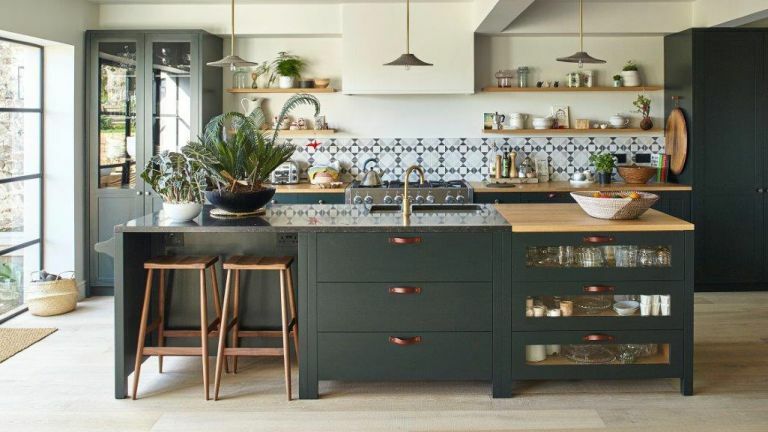 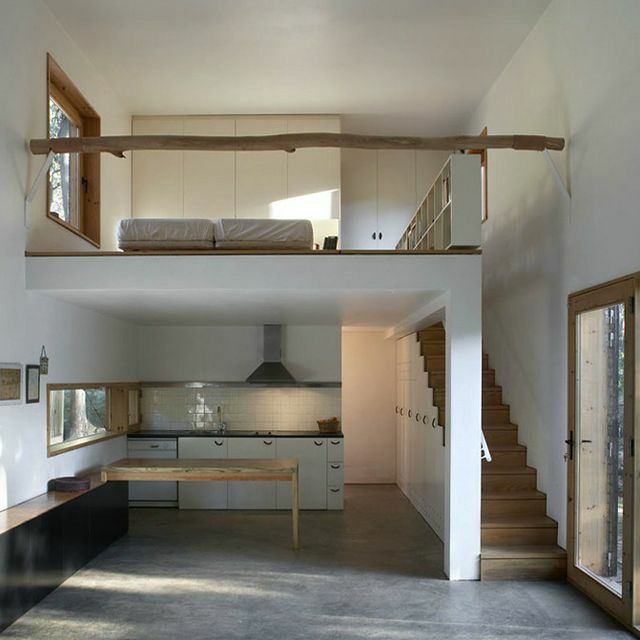 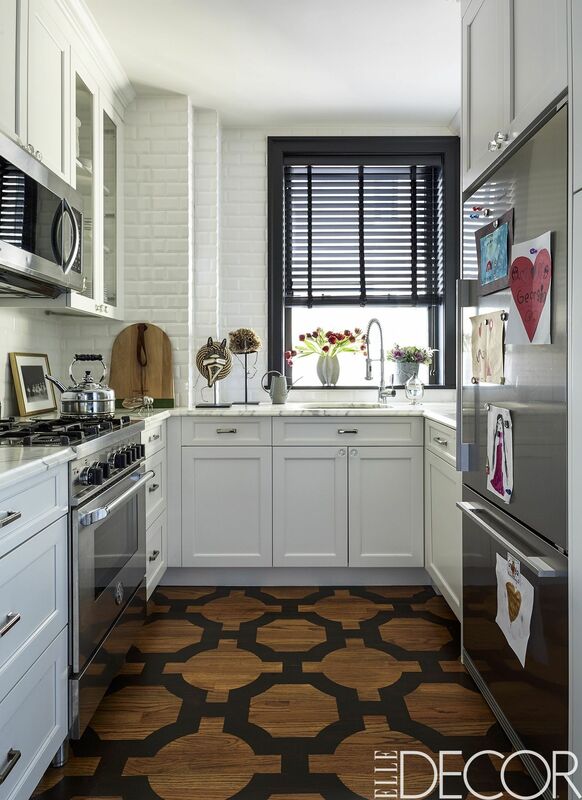 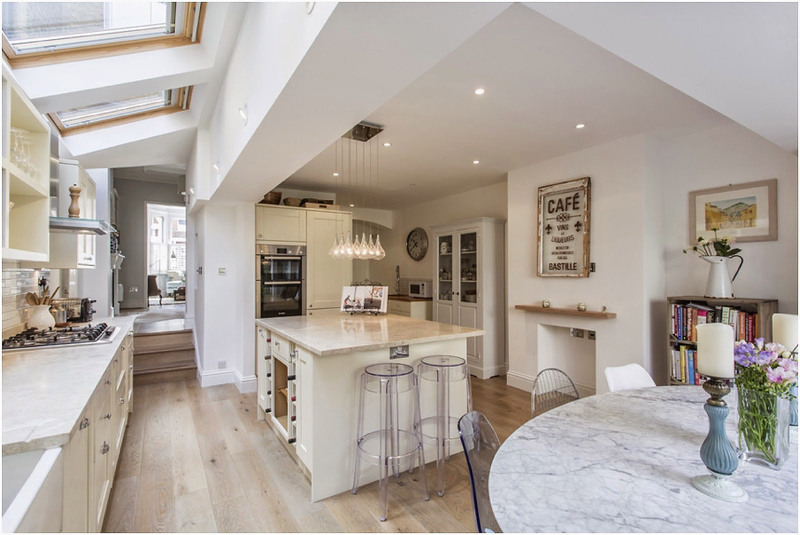 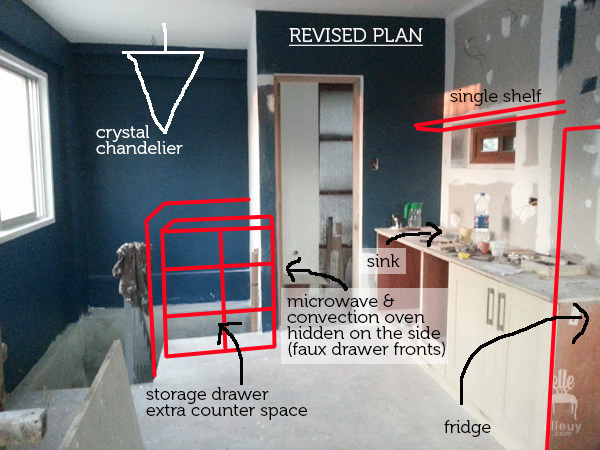 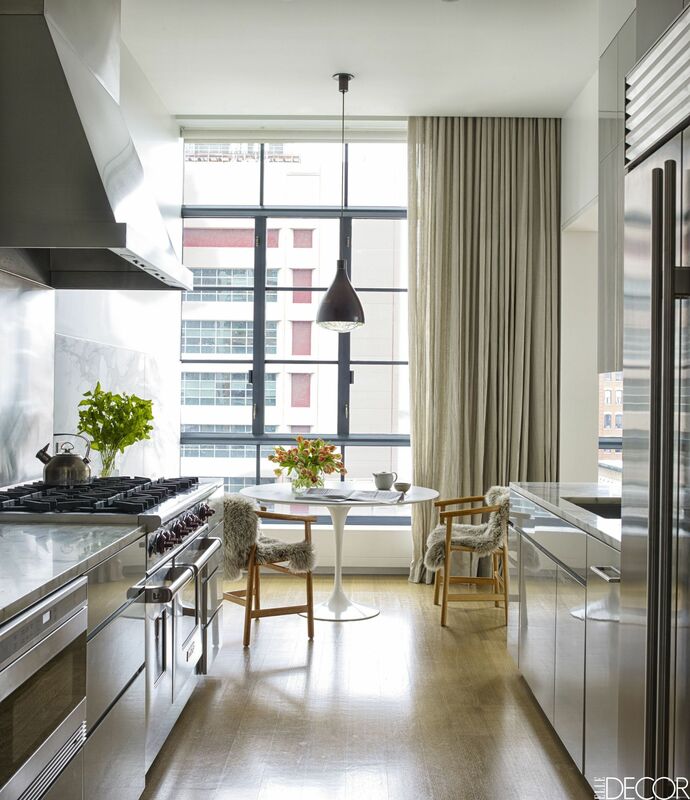 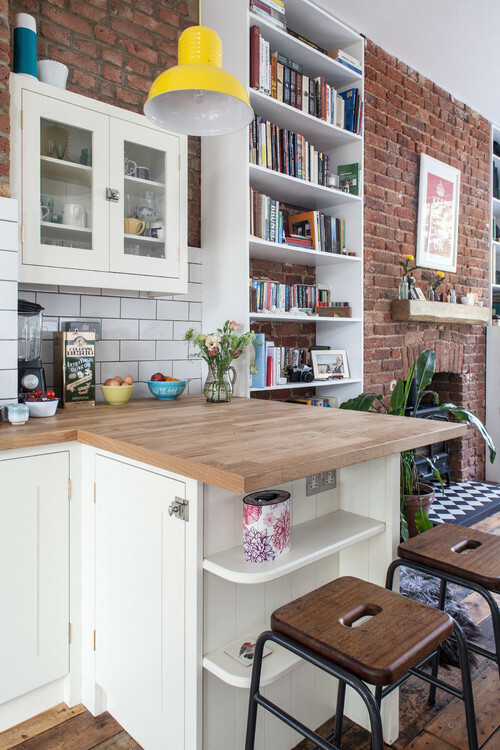 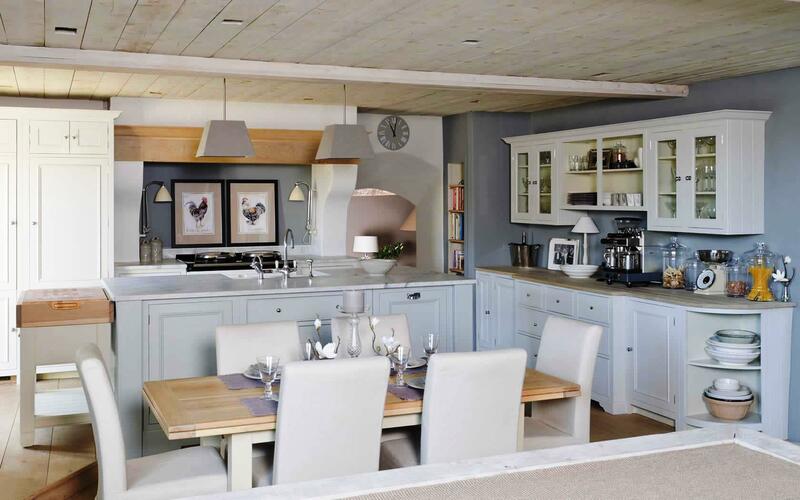 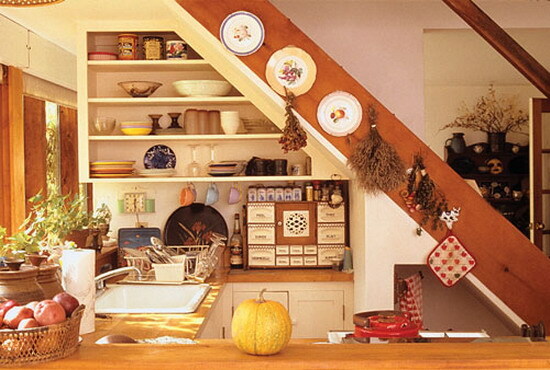 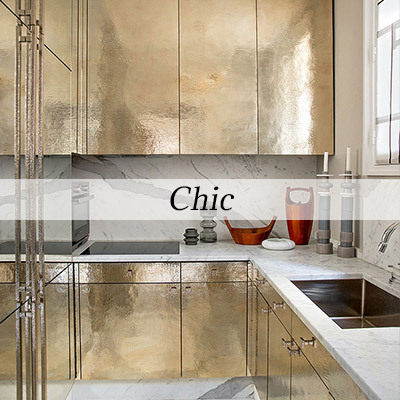 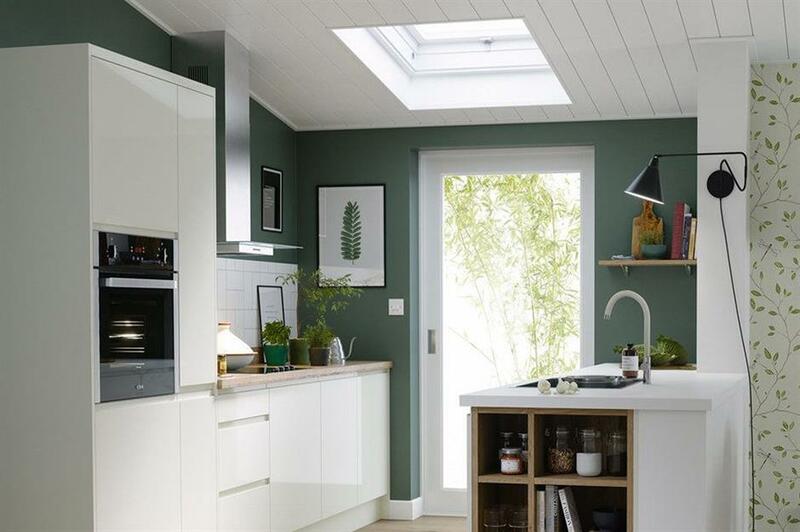 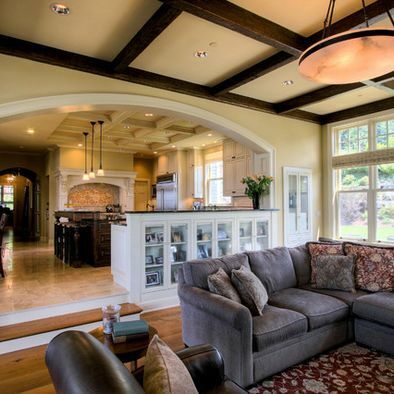 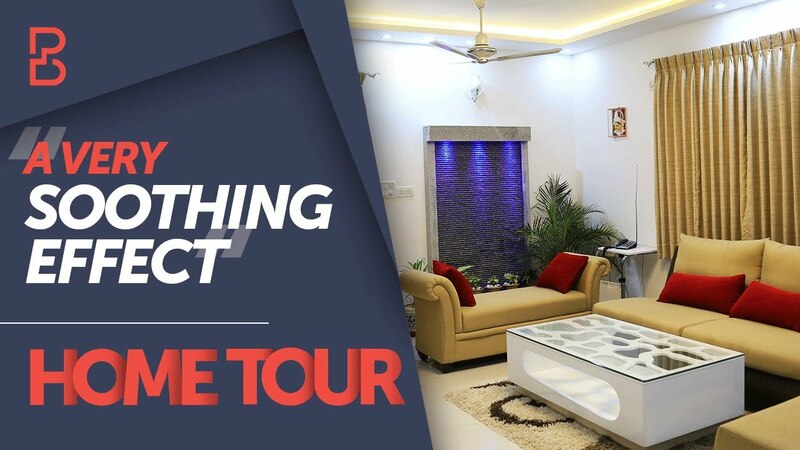 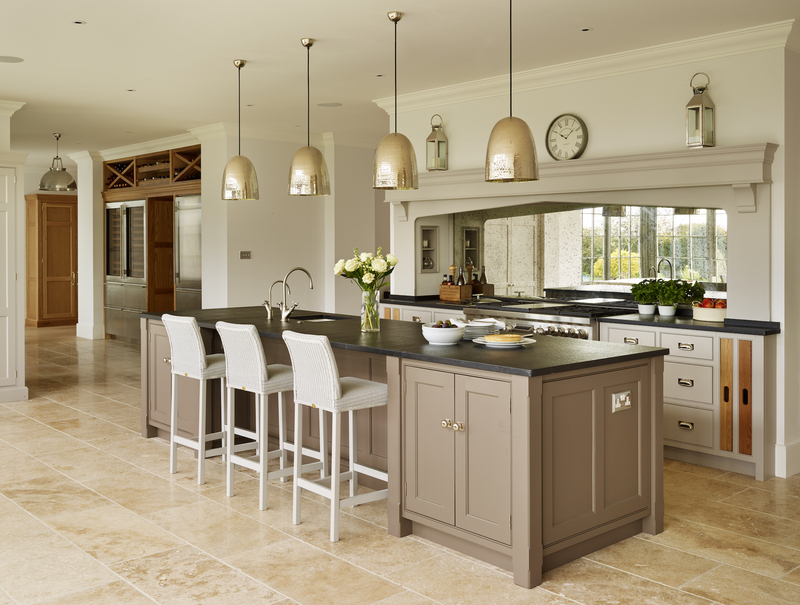 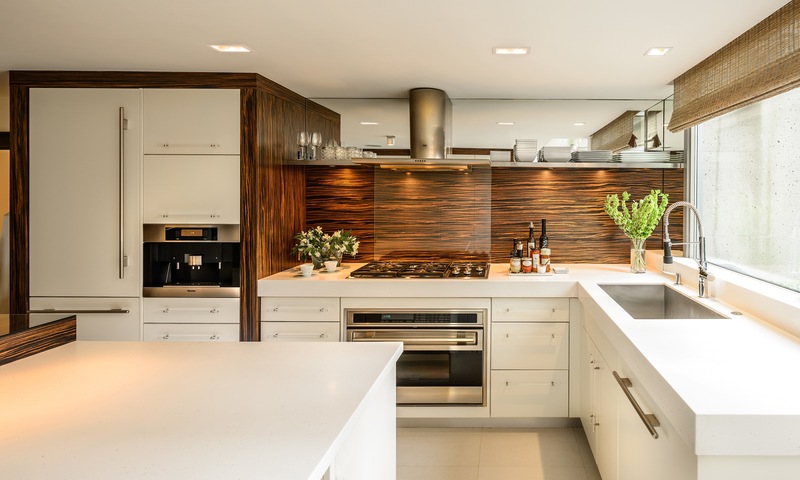 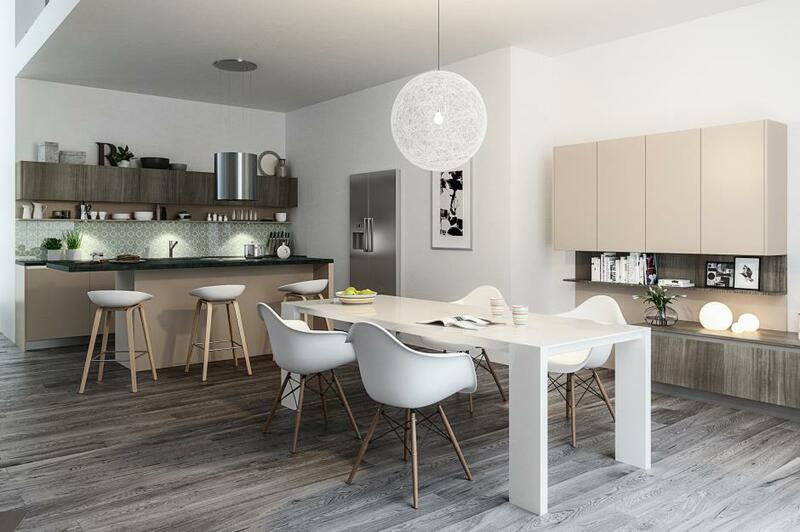 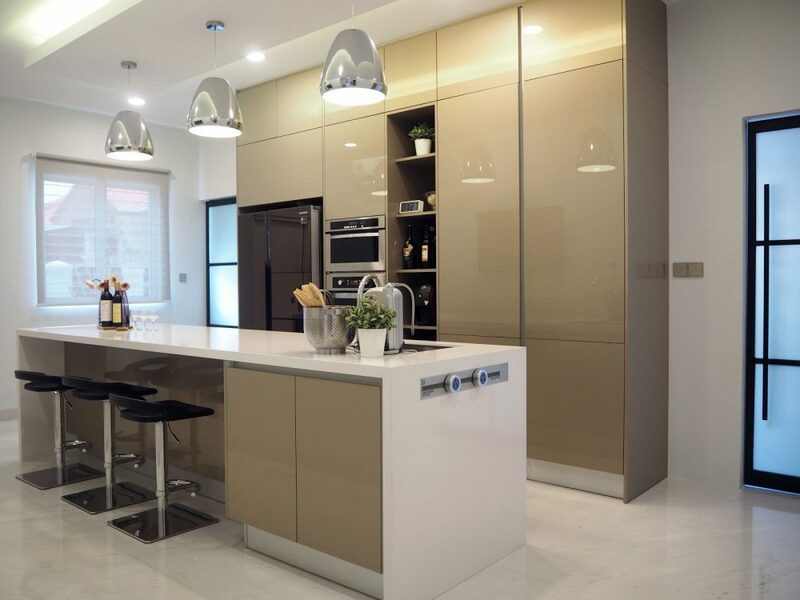 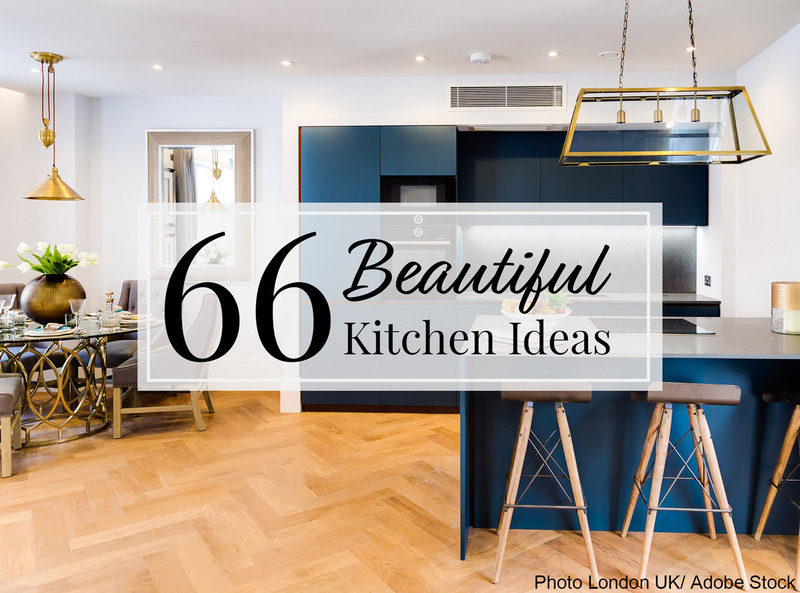 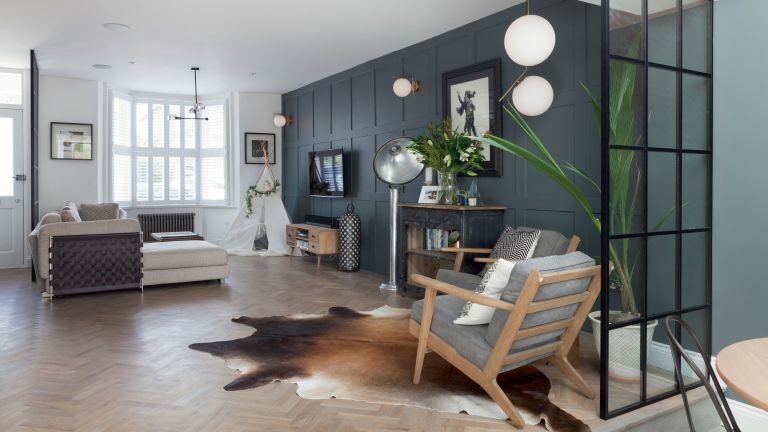 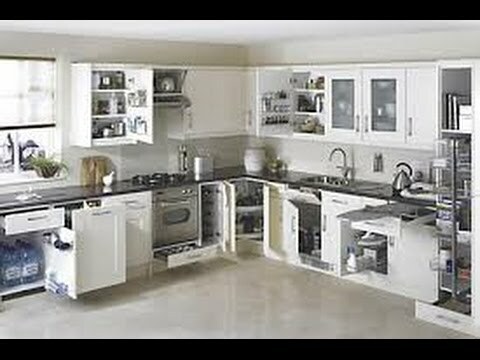 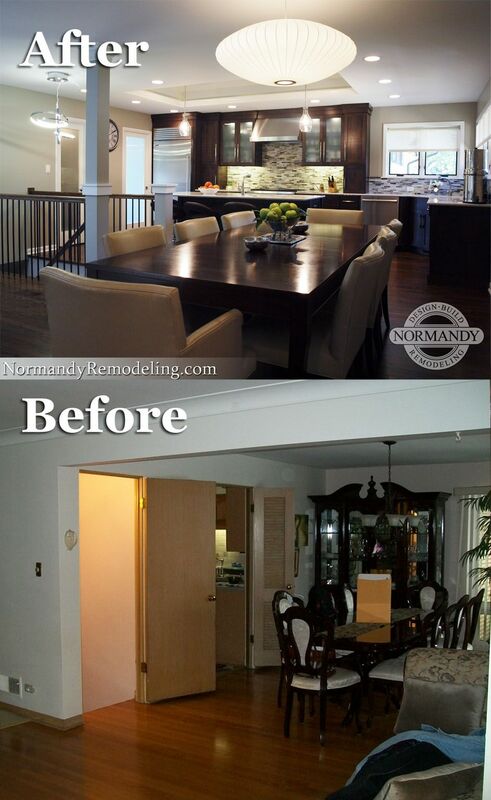 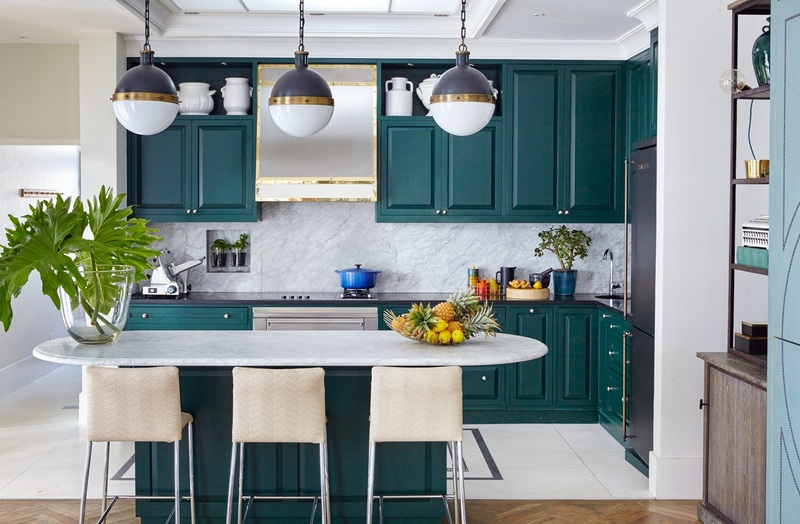 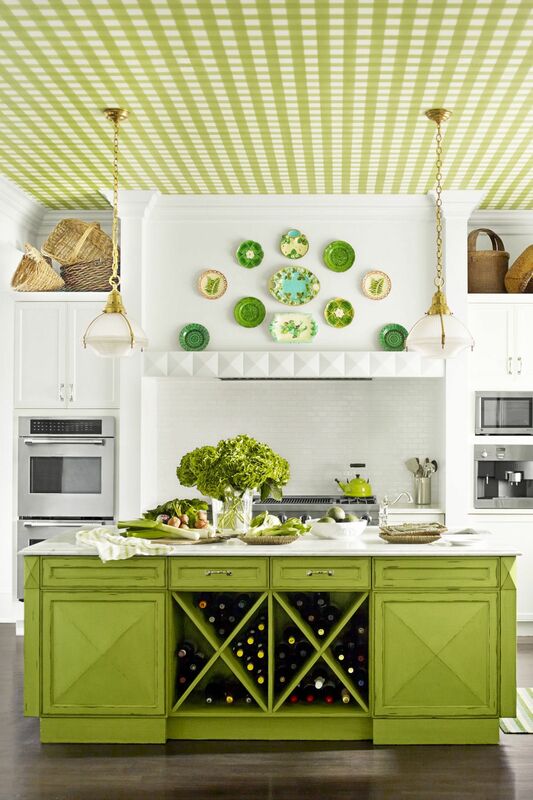 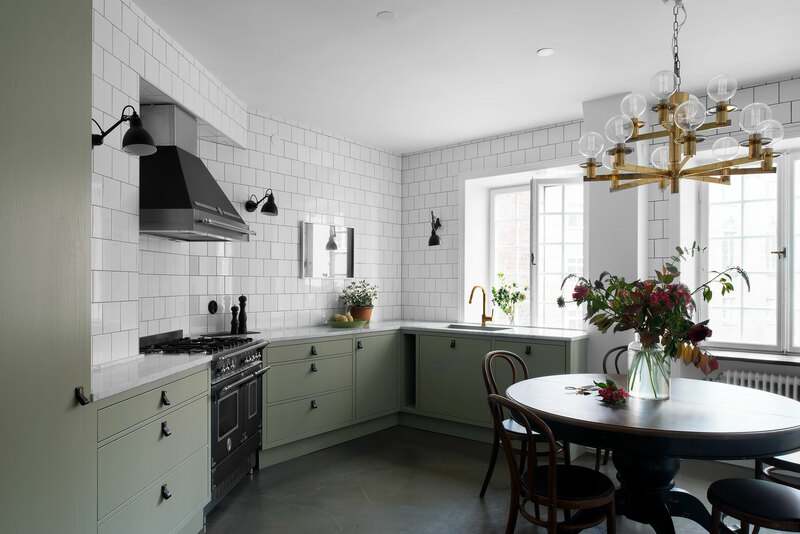 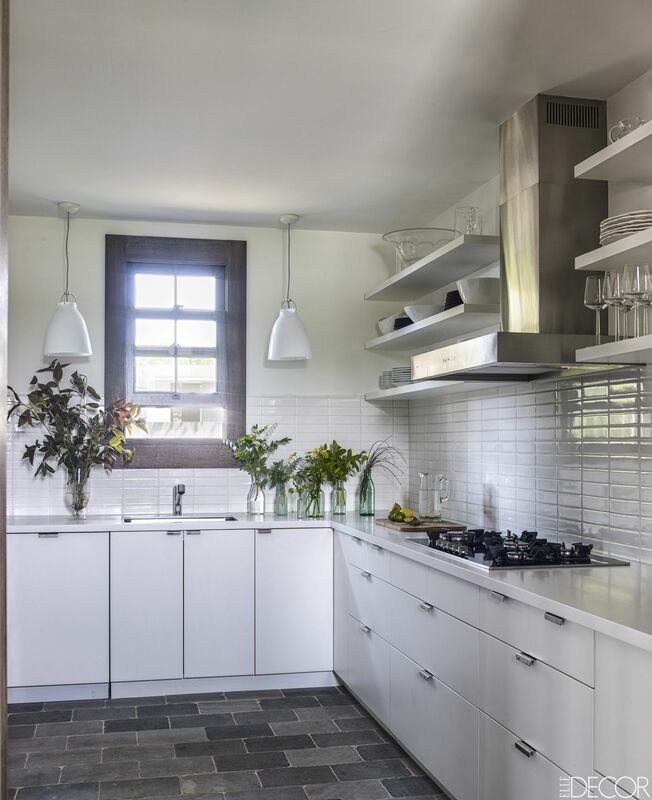 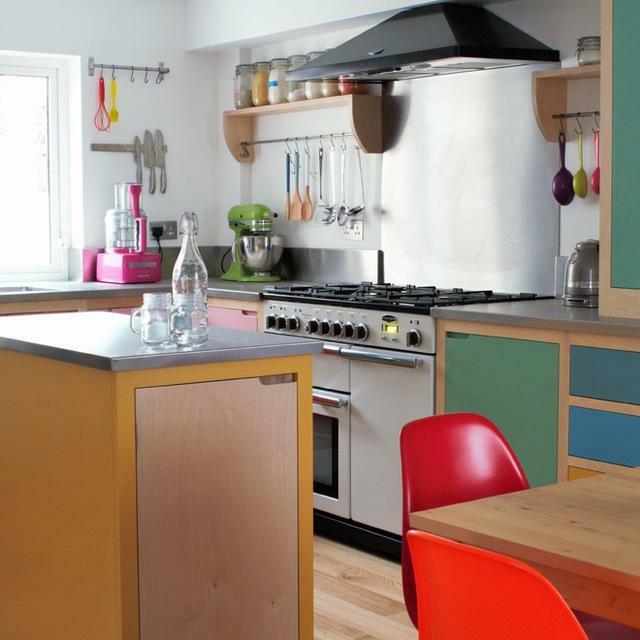 Ignoring the style all together it's a good idea for dividing the living and kitchen space.